The second entry in our new series on “Spring Texas Neighborhoods” in which each week we will provide a snapshot of a new neighborhood. Hopefully providing you with a “feel” for what it is like to call a particular neighborhood or subdivision “Home”. 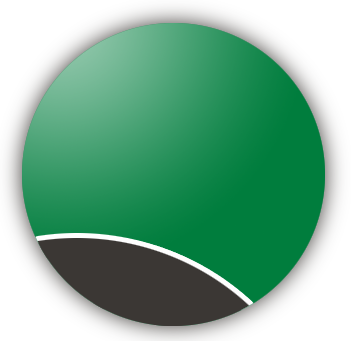 By the end of the weekly series, we will have doubled our quantity of profiled Spring Texas Neighborhoods. Now don’t worry if you miss a week because the full profile (not just the snapshot) with additional photos of the Neighborhood will be located in the Neighborhoods section of our blogsite for you to view at anytime. Drum roll, please ……. Introducing The Thicket, a small secluded neighborhood in Spring Texas. Located off of what looks to be an old country road is the main entrance to this tucked away neighborhood. The home buyers lucky enough to have found the Thicket love the quiet setting provided by its seclusion. Tucked away does not mean “far away” as it is located only 2.5 miles from I45. The small subdivision contains 253 “custom built” homes with the majority being constructed by Partners in Building and Norwood Homes. Built between 1991 – 2001 with an average size of 3,400 square feet. The Thicket’s homes would be characterized as “Executive” with a traditional architectural style. The homes typical amenities include detached garages with porte chocheres and long driveways, master bedrooms on the first floors, studies, and both formals. 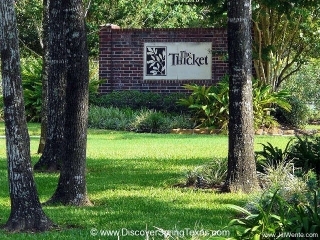 View the complete profile of the Thicket subdivision, additional photos and its homes for sale.